SleepBox represents a contemporary and organic piece of furniture, designed for the demands of an increasingly urbanized environment. 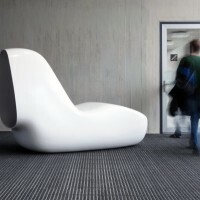 A sinuous life-sized object which creates a place of comfort and relaxation within airports, offices or other semi-public spaces, providing peace and quiet in busy urban environments. 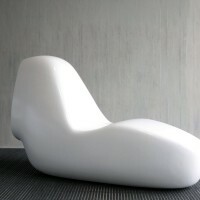 The solid, smooth and uniform shell is made of HI-MACS, and contains a leather covered mattress. 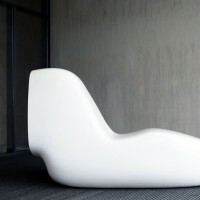 The project was designed by Caspar Lohner at the Chair for Computer Aided Architectural Design [CAAD], Department of Architecture, ETH Zurich, supervised by Mathias Bernhard and Manuel Kretzer and produced in collaboration with Kläusler Acrylstein AG, who is the exclusive distributor for HI-MACS® in Switzerland. 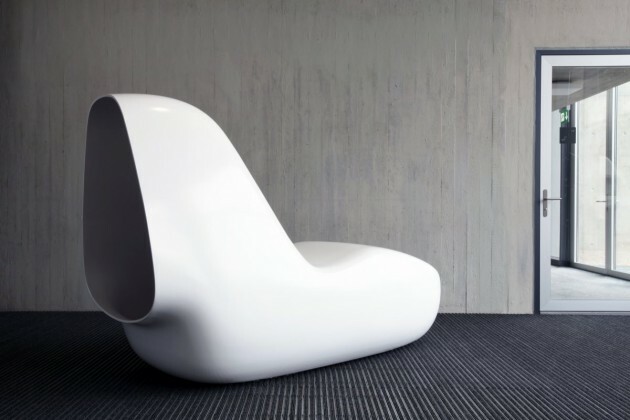 The free-form shell is made from HI-MACS®, the architect choose the material thanks to its extraordinary properties: it’s extremely robust, but it can be thermoformed and visually seamlessly connected – which was essential for this project. Caspar Lohner was in charge of each stage – from design to fabrication – of his first project using Solid Surfaces. He was both managing the project but also producing it with a team of students from the Department of Architecture, ETH Zurich with constant assistance of Kläusler Acrylstein, who supported with their expertise and technical resources. “Every day was a challenge for me, but when something didn’t work, we tried and tried again until it was resolved. 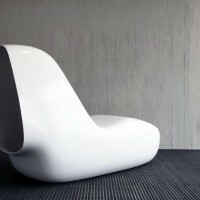 I learnt a lot about HI-MACS® fabrication possibilities thanks to this project” says the designer. 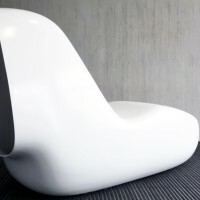 The necessary MDF moulds were produced on a three axis CNC milling machine at ETH Zürich’s in-house facilities Raplab. The flat HI-MACS sheets then were thermoformed into shape using a vacuum membrane press. After the material cools down it exhibits the same properties as before and can be further processed in a similar way to wood. The eleven individual pieces were finally glued together to create a single seamless homogeneous object. 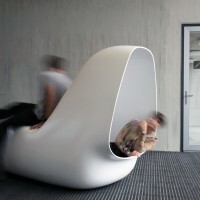 SleepBox will be exhibited from 17th to 21th January at Swissbau 2012.